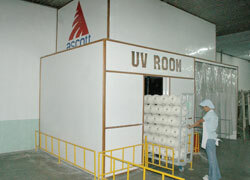 ASCOTT use imported cotton from Australia, USA, and also Brazil. 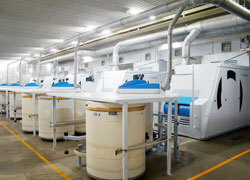 We only use high quality and contamination-free cotton in order to produce high quality yarn. We are checking all cotton quality parameter such as micronaire, length, color, grade, and uniformity before send cotton into production line in order to ensure our yarn quality. Those operations done on blowroom installation which consist of sequence of different machines. Carding process is the most important process in spinning. It contributes a lot to yarn quality. The main purpose of this process is to form a clean and uniform sliver. The purpose of drawing process are doubling the slivers and make even and homogen doubling results, drafting the fibre to make it parallel, straightening hooks created in the carding process, removing remaining dust, and maintaining absolute sliver fineness using autoleveller. The purpose of roving process is drafting the sliver into roving, twisting the drafted strand, and winding the twisted roving on a bobbin. Draft the roving to make yarn at desired yarn count. Wind the twisted yarn on a bobbin for winding process. The purpose of winding process is to make yarn packages from ring spinning bobbins. 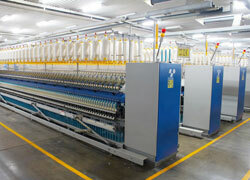 Winding process also ensure quality by eliminate yarn that outside our quality limit. That function is done by yarn clearer. 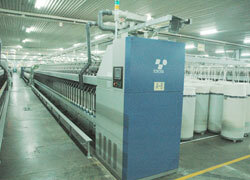 With correct setting, we will provide you yarn at desired quality. We have online and offline quality monitoring system. Online monitoring system can be found on the winding unit. Our new machineries equipped with USTER QUANTUM II will eliminate the undesired yarn and ensure that the yarn that we produce has the desired quality. We always refer our quality standar to USTER quality standard (USTER STATISTICS). In order to ensure that our yarn will not cause barre in the fabrics, we also do Ultra Violet test before sending the yarn packages to packing. Other than that, we also do random sampling test to ensure quality of our yarns. We also check our yarn data online to USTER to make a benchmark on the quality of our yarn compared to other companies around the world. The last process before deliver the yarn to customer is packing. 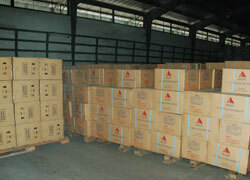 We use standard packing method which use carton box for exported yarn. 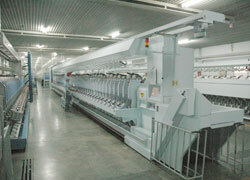 We also have additional process to produce double twisted yarn (such as Ne. 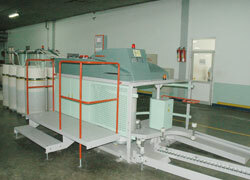 30/2, 40/2) which called double winding process and two for one process. You can click tab beside to see list of our machinery.